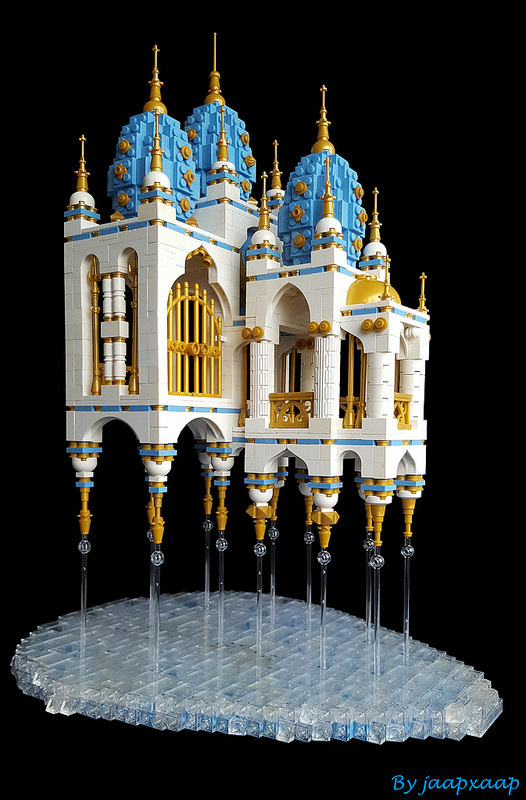 I bet you’re taking a second, or even a third, close look at this magical floating castle to analyse how it all holds up. LEGO wizard jaapxaap must have dreamt of this one night and woke up to make it a reality. 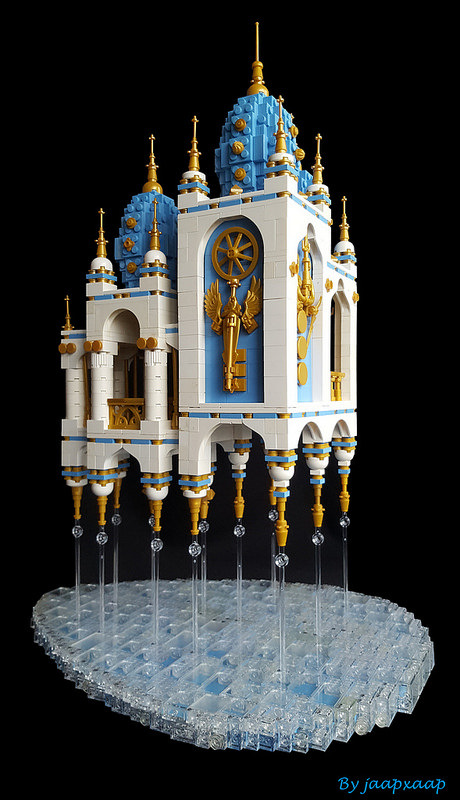 The colour choices of white and gold, plus the bright blue of the domes and trimming helps provide an additional subconscious cue, elevating it into the skies above the clouds. A brilliant idea turned into reality with the execution of beautiful engineering.